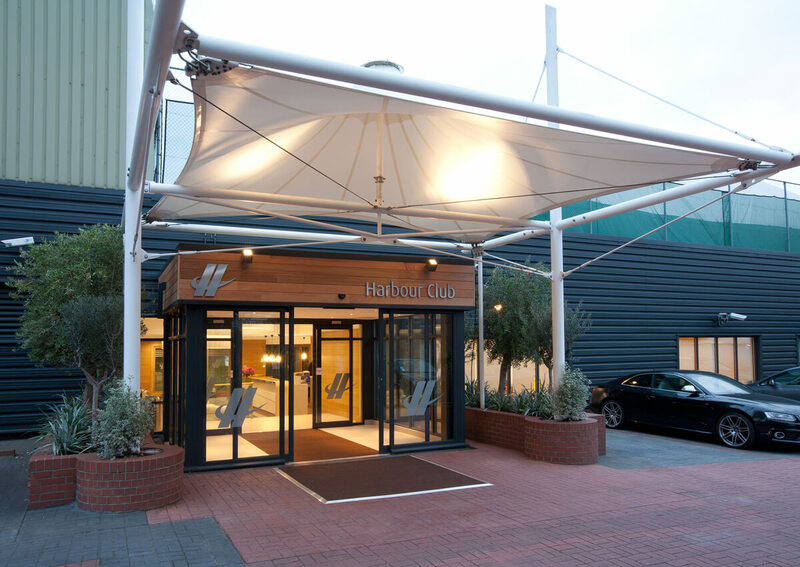 The Harbour club was one of London’s original high-end luxury health and fitness clubs and the Sparcstudio directors were responsible for the design of the club when it was constructed way back in 1992. 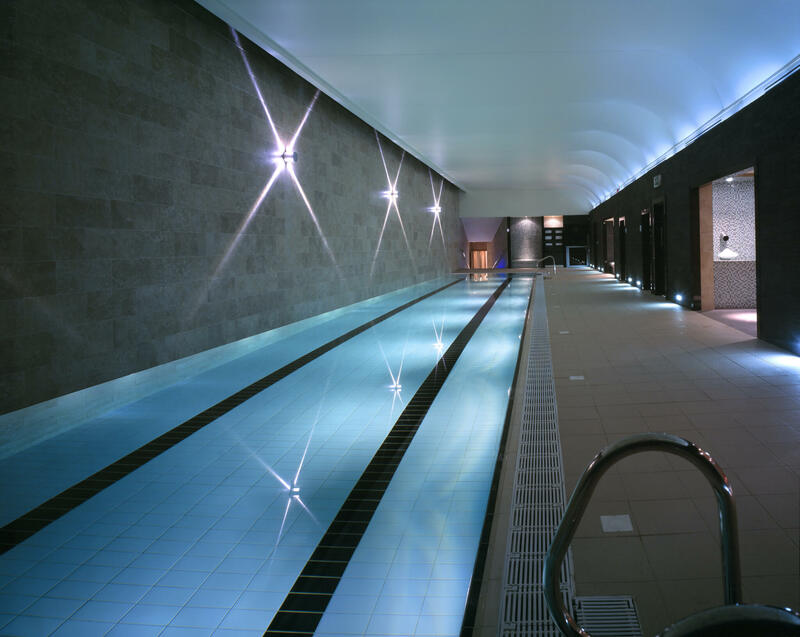 As the club has evolved over the years from a high-end adult club to the ultimate luxury family club, they have carried out a number substantial refurbishments, including the addition of an adult pool and thermal suite (replacing the Real Tennis courts) and a complete refit of the Amida spa. 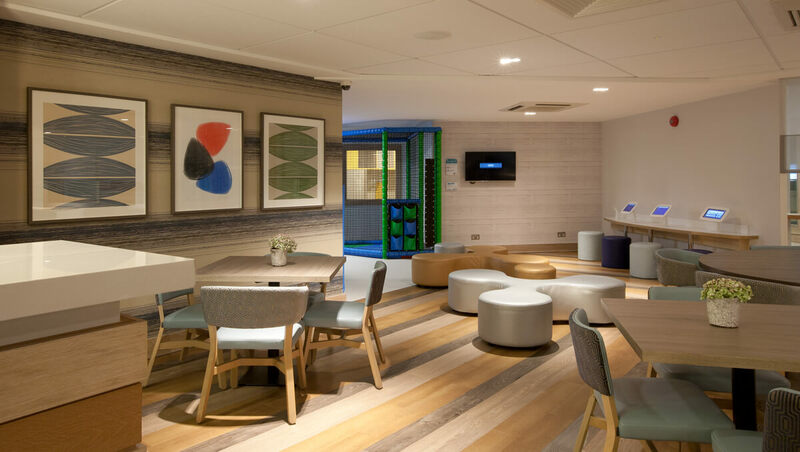 Sparsctudio were commissioned by owners David Lloyd Leisure to carry out this latest major refurbishment (which also included a similar scope of works to the Notting Hill site). 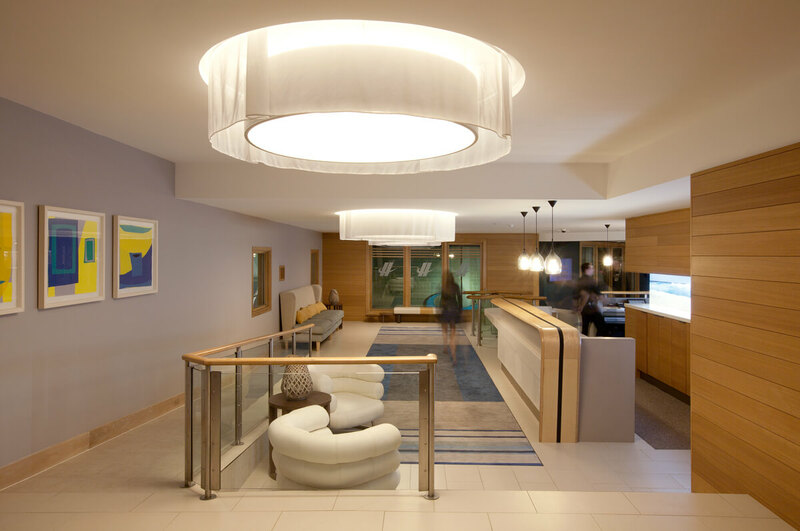 The brief was to create a fresh, new, distinct look and style for the club that re-establishes its 5-star positioning, improves the arrival experience and upgrades the extensive food and beverage adult and family lounges that form the social hub of the club, as well as a refurbishment of circulation, studio waiting areas and changing rooms. 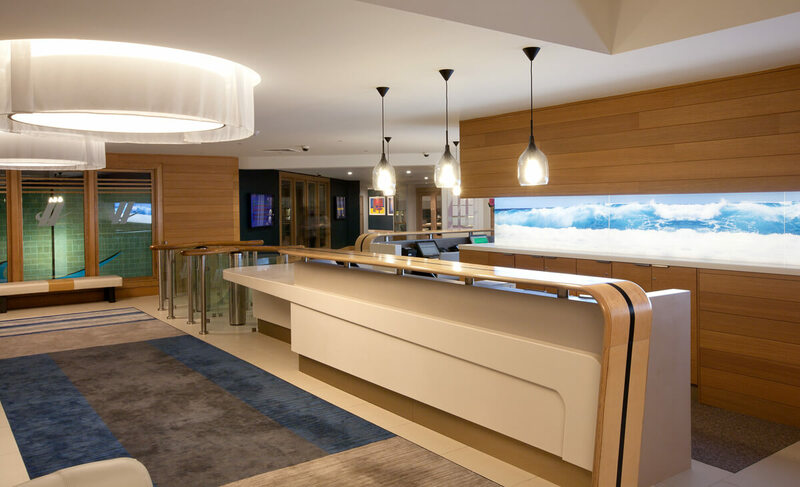 The aim was to create a feel to the arrival / reception space more akin to a ‘boutique hotel’ lobby rather than leisure club. 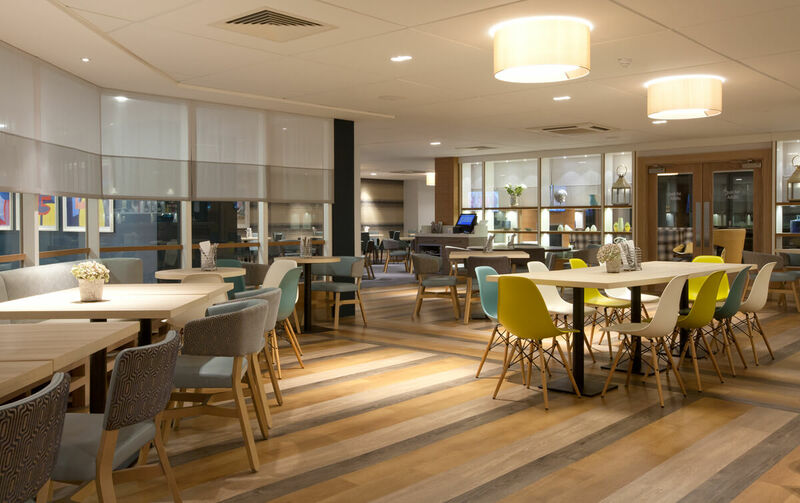 This was achieved by relocating the entrance turnstiles to the side of the new desk so as not to be so prominent, combined with the introduction of cedar-lined walls, new floor finishes including an inset bespoke designed rug, new furniture and lighting including some large bespoke feature lights. 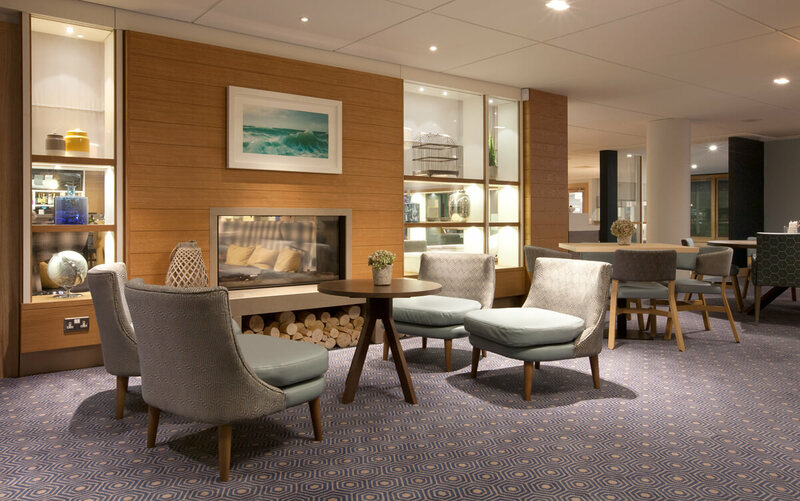 The substantial works to the club lounges, included a complete re-planning of the zones to create a beautiful new adult lounge with direct access to the refurbished terrace and incorporating its own bvar and double sided fireplace. 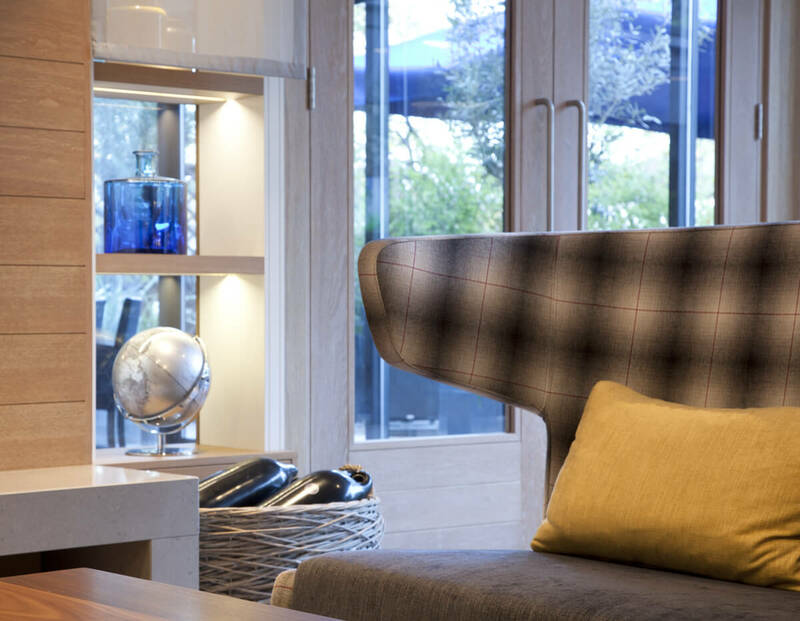 This area is separated from the family lounge by full height glazed bespoke designed bookcases. 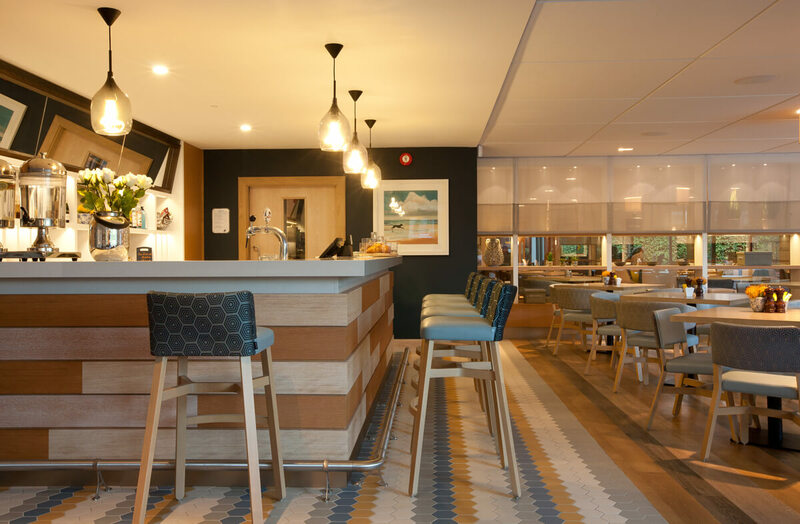 The family café has an exciting unsupervised childrens’ play structure and further entertainment is provided in the adjoining Kids club and complimentary crèche. 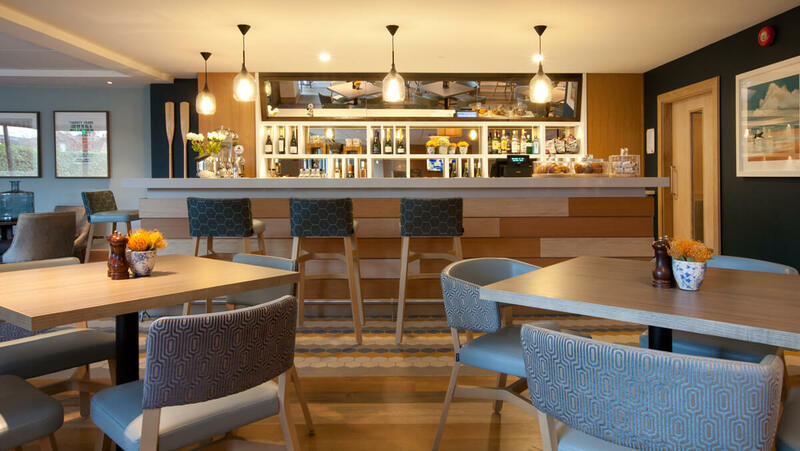 Sparcstudio have transformed the Harbour Club with a distinct new character and style based around the feel of a ‘harbour retreat’ with a cool Californian relaxed, informal vibe. Holiday living in the middle of the City.